SuperCell has been clear that although they're looking at TH12 for the future, they're not there yet. They have ideas but they don't want to just add more levels; they want to look at what cool features they can add that would make it distinct and fun. In the meantime, they really want to focus on other areas of the game that need improvement first. One sore point that has come up before - and was mentioned during the recent Clash Q&A - is the ongoing effort to improve the Clan Wars matchmaking algorithm. The guys at SuperCell have been pretty clear they want to see this, and other features, improved before bringing around TH12. Darian also mentioned that there are many players who are reluctant to move up from their TH9 or TH10 games due to the increase in difficulty and the time investment required. This makes sense - I know the amount of time required to max TH10 and TH11 both, has been a deterrent to my own upgrading. SuperCell is looking at ways to make the transition easier and to incentivize more people to upgrade. Increasing the population of higher level THs (TH10 and TH11) would reduce clouding and improve gameplay at the top levels. On the Builder Base side, it's good to hear an official nod that BH8 is not on its way in the December update. Although there are a number of players who are already fully maxed at BH7 (gemmers), the vast majority of the player base still has quite a way to go. BH8 coming in December would have seriously pushed back Free 2 Play (F2P), F2P+, and light gemmer progress as we began the mad scramble to reach BH8. My games are all BH7 right now, but at varying levels of development. 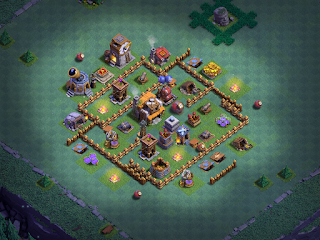 Some still have level 4 and 5 defenses, level 3 walls, a level 5 Battle Machine, and only one or two troops at level 14. Even my flagship game (Noctaire) still has 4 levels to go on the Battle Machine, several point defenses and resource buildings to upgrade, and mostly level 4 walls. Knowing I have at least another month to work on my games is a major boon to my upgrade path. Darian went on to to say that this December update will be focused largely on the main village and bring something new to the game. He's previously hinted that it would be something starting with the letter "Q", leading many of us to speculate it might be some kind of quests. This would make sense, especially with his other statements around wanting to ease the transition burden when upgrading to new TH levels. He also said that the update will focus on the clan. That could mean a lot of things. The social aspect of Clash has suffered a bit in the last year, and a number of players have complained that they just don't get as much chat time out of the game as they used to in the early days. Focus on the clan would be welcomed attention. He went on to say that none of this would affect Clashmas and we could still count on some fun, temporary features like always. Each year, the Clash team has given us decorative obstacles, a new troop, and new traps to play with - for example, we've had Santa dropping "gifts" through a spell and the Ice Wizard paid us a visit. On the topic of sneak peeks, he was still a bit hazy. We heard "soon" before but now we have "...in the next couple weeks" so there's a little progress there. Most importantly - we know there are sneak peeks coming our way. It's a great start to answering our questions about what's coming soon. Now we just have to wait for the details in the sneak peeks!